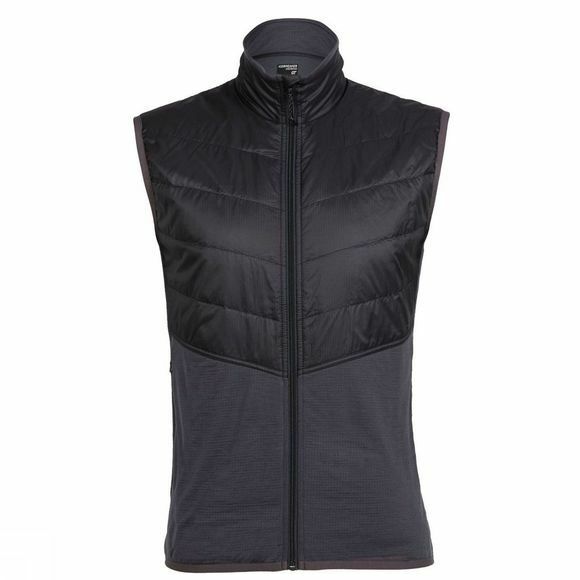 Icebreaker's technical vest that’s both environmentally conscious and incredibly comfortable, the Men's Ellipse Vest is a hybrid-construction midlayer that uses strategically-zoned insulation for core warmth and protection. In the chest panels, Icebreaker have used MerinoLoft insulation, which provides a warm, breathable and natural alternative to synthetic insulations, with a recycled polyester face fabric. In the body, the Ellipse features a super-soft and quick-drying blend of merino wool and recycled polyester with side stretch panels that actively manage moisture during cold, high-output days in the mountains or out on the trails. Zippered hand pockets and an internal stash pocket secure all your small daily essentials.